Video 1, deals with a fascination of the arcetypical traditional housewife and my wish to become one myself. 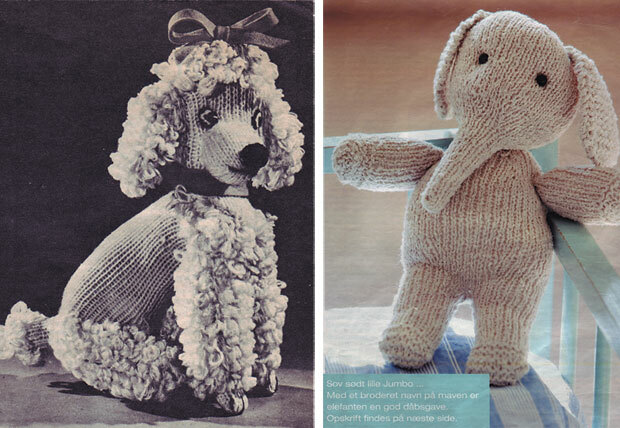 This is why I decide to knit some toy animals from some women's magazine, a poodle from a magazine from 1952, and an elephant from 2009. The video follows the knitting process as well as my reflections a long the way. The border between the actual me and a quite mixed up persona is rather thin in this piece, and the relationship with the camera takes a big part in the video. 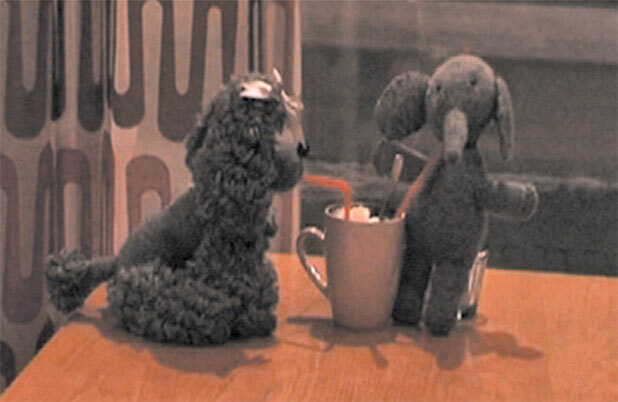 Video 2, gives the word to the finished toy animals which have now taken on a life of their own. Apparently they live together in some sort of relationship, and the video turns out to be a kind of reality soap, where they confess their thoughts to the viewer. I stand behind it all as the puppet player, literately lending my voice to the animals. 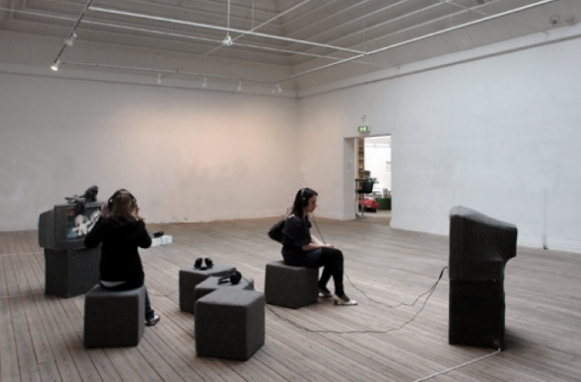 The piece consists of 2 opposing TV-monitors showing each a faked - or at least semi faked - documentary. Everything is covered in gray knitting, including the pillows that are filling up the space between the TVs. 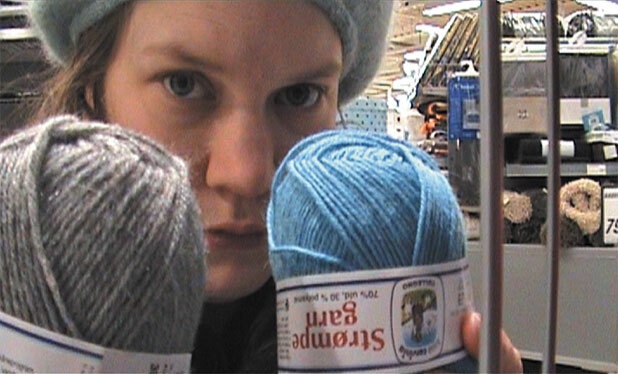 Yarn and knitting of the same color is also used in the video recordings.